Is Shade 72 (Sweet Latte) right for you? 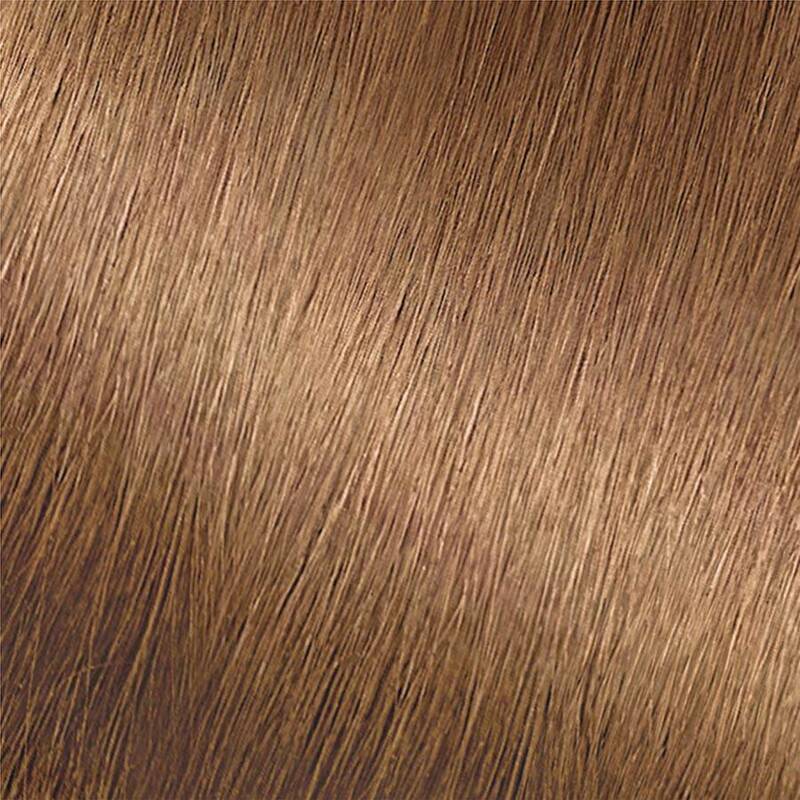 Garnier Nutrisse Dark Beige Blonde 72 (Sweet Latte) has a slightly iridescent burgundy reflect that creates a beige tone. This shade will help soften warmth, leaving you with a cool result. Shade 72 (Sweet Latte) will flatter all skin tones while providing 100% gray coverage, and is best for anyone with natural hair between light blonde and medium brown. If you would like to try similar shades, shade 82 (Champagne Fizz) might be for you. If you would like to remain in the dark blonde range but would like to explore other reflects and tones, there are many other shades to choose from including 70, 73, 74, and 76. *For women with currently color treated hair, there are special considerations for the color result you can achieve. Because of this, we do not recommend shade 72 (Sweet Latte) for hair that has been previously colored Medium Natural Brown 50 (Truffle) or darker. For more help, use our Shade Selector Tool to find the perfect shade for you! Nutrisse Colorant: Aqua/Water, Cetearyl Alcohol, Propylene Glycol, Deceth-3, Laureth-12, Ammonium Hydroxide, Oleth-30, Lauric Acid, Hexadimethrine Chloride, Glycol Distearate, Polyquaternium-22, Ethanolamine, Silica Dimethyl Silylate, Ci 77891/Titanium Dioxide, 2,4-Diaminophenoxyethanol Hcl, M-Aminophenol, Ascorbic Acid, Sodium Metabisulfite, Dimethicone, Pentasodium Pentetate, P-Phenylenediamine, Parfum/Fragrance, Carbomer, Resorcinol, Vitis Vinifera Seed Oil/Grape Seed Oil. F.I.L. D35216/3. Fruit Oil Concentrate: Paraffinum Liquidum/Mineral Oil, Vitis Vinifera Seed Oil/Grape Seed Oil, Parfum/Fragrance, Tocopherol, Rosmarinus Officinalis (Rosemary) Extract. F.I.L. D25829/5. Rinse-Out Conditioner: Aqua/Water, Cetearyl Alcohol, Elaeis Guineensis Oil/Palm Oil, Behentrimonium Chloride, Pyrus Malus Extract/Apple Fruit Extract, Glycerin Parfum/Fragrance, Stearamidopropyl Dimethylamine, Niacinamide, Pyridoxine Hcl, Butyrospermum Parkii Butter/Shea Butter, Citric Acid, Olea Europaea Oil/Olive Fruit Oil, Saccharum Officinarum Extract/Sugar Cane Extract, Benzyl Alcohol, Chlorhexidine Dihydrochloride, Persea Gratissima Oil/Avocado Oil, Ribes Nigrum Oil/Black Currant Seed Oil, Linalool, Citrus Medica Limonum Peel Extract/Lemon Peel Extract, Ci 19140/Yellow 5, Camellia Sinensis Extract/Camellia Sinensis Leaf Extract, Ci 15985/Yellow 6. F.I.L. D35637/3. Nutrisse Developer: Aqua/Water, Hydrogen Peroxide, Cetearyl Alcohol, Trideceth-2 Carboxamide Mea, Ceteareth-25, Glycerin, Pentasodium Pentetate, Sodium Stannate, Tetrasodium Pyrophosphate, Phosphoric Acid. F.I.L. D12836/26. Rated 3 out of 5 by cubancurly from NOT 100% gray coverage My grays are mostly in the front about 25% and 72 sweet latte did not cover completely, I would say it only covered 80% of grays. I left it on for a total of 50 minutes and I started in the front to get to get the full 50 minutes on the grays. I have dark brown hair, bleach blonde highlights throughout. I had about 1 inch new growth that was very obvious since my hair is so dark. So I wanted to lighten just the roots. Though they'll tell you not to use this level on dark hair I did. (do a test section first) It came out a dark warm blonde. The warmth is okay with me because I have alot of warmth scattered throughout my hair and I look better with warm tones then cool. Since my hair is wavy/curly the different color at the roots does not stand out as it would with straight hair. As the roots grow out it will lighten to a neutral dark blonde with the sun and blend in fine. The beige blonde is a combo of ash and gold tones with the ash being primary so you're suppose to acheive a cool tone. I acheived a warm tone because my hair is dark brown. No fault of the product. Rated 4 out of 5 by birdee38 from Decent results I bought this color hoping it would work but knowing it might not have much of an effect on my hair. Previously my hair was dyed very dark brown and I used two separate applications of Color Oops to try and get it back to my natural color (medium red-brown) after the dye began fading, which worked okay-ish. So I didn't technically have "virgin" hair when I used this color, which is why I set my expectations low. I followed the directions on the box (left it on for 25 mins), except I applied it to my roots last because I have had issues with them getting brassy in the past.The results were very subtle and as I expected, but I didn't notice the difference until I took a before and after picture. The final color is maybe one shade lighter than my original hair color, but it is also less yellow tone, which I like. I didn't really expect to get this result exactly, but the final color kind of has a slightly rose gold tone (this color shows up way more in the pictures). My roots still turned out a little brassy but I think I will try a purple shampoo. I didn't get the exact results I wanted but am happy overall. I also knew this might not be effective on my hair because it was technically dyed previously and tends to be very resistant to lighter colored dyes. Rated 5 out of 5 by ABradagain from Dear Garnier please don't discontinue this shade This is my SECOND review on this product and color bevayse it is just so perfect. 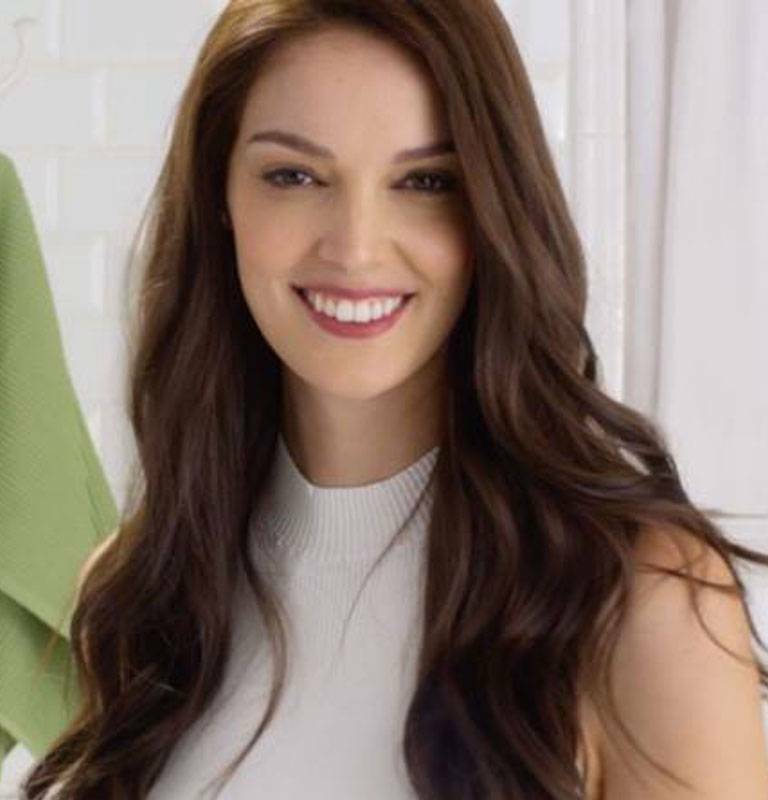 I have used garnier for years. I have dark blonde hair that pulled yellow over summer with pre lightened ends. Garnier nails it every time. Knocked out the yellow gave me a beautiful not too warm not too ashy natural blonde. It's gorgeous. No more yellow and blended everything together and gave me a beautiful look for fall. Please Garnier keep this one! Rated 5 out of 5 by Haglips from Finally found my perfect shade I’ve been trying to find a hair color that comes out the way it is described. This is it. Y color looks exactly like the box. It came out soft, shiny and manageable. I am so excited to find this shade. Thank you! Rated 5 out of 5 by Sue in VA from Smells good, GREAT results, Easy to use A few months ago, I switched to Garnier Nourishing Color Creme because of the healthier ingredients, and I have been really pleased. I have been using another product for years that was OK, but Garnier is much BETTER and seems more gentle on my scalp. My hair color is sort of between the 2 of these colors, but dull, with a little grey now and I am thrilled with both the #82 Champagne Blonde and now also #72 Sweet Latte which is a shade darker. They both brighten my hair, but yet it looks very natural, and keeps the gold/orange tones away. Thank you Garnier! Rated 5 out of 5 by ABrad87 from Finally found MY color A year and a half ago I was a deep burgundy. I decided it was way too much upkeep and spent too much money to keep it burgundy. I am naturally mousy grayish blonde. I can't stand my natural hair color. So I've been looking for hair color that looks good and lasts and doesn't pull orange. This is it. It toned the remaining orange out of my hair and now I have a beautiful true to the box beige blonde. My hair is soft and shiny and flowy. It's stunning. I've tried so many other brands but I never got this gorgeous of a result and no rats nest either after coloring. I used garnier for ever when I was younger and now I'll be using. It as an adult. Thanks garnier!!! Rated 5 out of 5 by Medok from Beautiful color! I am very pleased with the result. I got a lot of compliments about my hair. I have medium brown hair. Shade 72 got me few shades lighter. Rated 1 out of 5 by shocked from No Colored my hair black! Horrible looking and certainly not what I paid for.